Allotment plots become vacant from time to time, but there is usually a waiting list. If you would like your name added to the waiting list please contact Jo Deacon at the Parish Council Office, on 01455 285655. 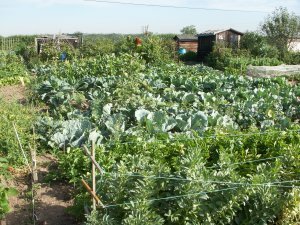 No Joint Tenancies The Parish Council has decided that, as a matter of policy, no joint tenancies will be permitted in respect of allotment plot holdings. The Western Willows and Sutton Allotments Terms and Conditions have been amended to reflect this decision. The attached document provides all of the relevant information with regards to the criteria required if you wish to enter the annual allotment competition.